Yokohama Chinatown wrapped up a program of Spring Festival events celebrating the Chinese New Year on Tuesday with a moving lantern festival held on the steps of the Yokohama Ma Zhu Miao temple. During the evening festival lanterns bearing messages of hope, written by members of the public, were placed in the shape of a heart on the temple steps before the performance of a dedicated dance believed to ensure their safe passage to the heavens. Towards the close of the festival two traditional lions entered the thick crowds gathered in the temple grounds to spit out candy and snacks which onlookers scrambled to pick up from the ground. The Lantern Festival was the final event during 15 days of Chinese New Year celebrations, known as the Spring Festival in China, that took place in Japan’s largest Chinatown. Festivities this year began in typical fashion with countdown events on the evening of February 4 held at Yokohama Kanteibyo and Yokohama Ma Zhu Miao temples before lion dances launched the area into the New Year’s celebrations proper on the 5th bringing good fortune to the owners of local stores and restaurants. Perhaps the largest of the Spring Festival program was the Celebration Parade held on the 16th. Setting out from the area’s Yamashitacho Park, paraders in traditional costume, together with lion and dragon dancers, made a circuit of the Chinatown streets taking pause during the lighting of deafening firecrackers, giving time for the dragons, controlled by teams of performers, to launch into dramatic twists and flourishes. A stark contrast to the poise of Tuesday’s Lantern Festival. 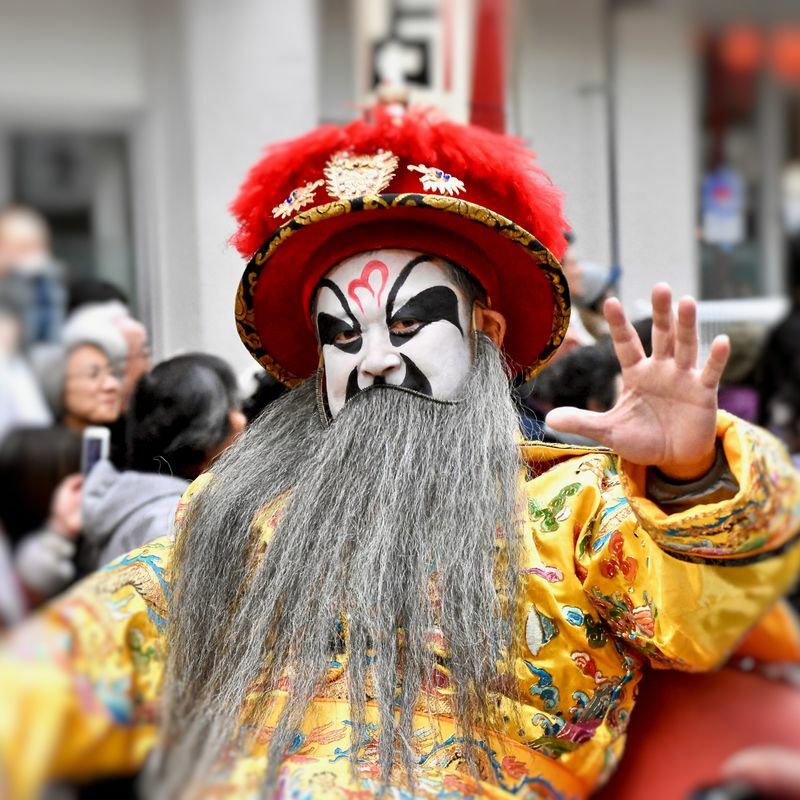 This year marks the 33rd edition of Spring Festival celebrations in Yokohama Chinatown, which have been held annually since the inaugural festival in 1986.